Proudly Serving Blackwood, Berlin 08009, Lindenwold 08021, Gibbsboro 08026, Glassboro 08028, Glendora 08029, Bellmawr 08031, Grenloch 08032. Stranded? Coles Road Transportation Services offers 24-hour towing. Let one of our experienced towing professionals assist you. 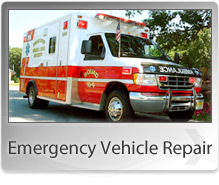 Please call us at 856-227-8876, and we will get to you quickly so you can get back on the road as soon as possible. When it comes to your flatbed towing needs you can trust the experts at Coles Road Transportation Services. Our trained and experienced professionals will be happy to help you with all your flatbed towing needs. Just give us a call at 856-227-8876. Need towing? Coles Road Transportation Services provides local towing. Let one of our experienced professionals help you. Please contact us at 856-227-8876, and we will get to you promptly so you can get back on the road as soon as possible. Looking for long distance towing? You've come to the right place. Trust Coles Road Transportation Services's experienced towing professionals to tow your vehicle. Coles Road Transportation Services offers repossession services, using wheel lifts if necessary. Please call us at 856-227-8876 to discuss your needs!